The first true close-up photo of the Millennium Falcon. 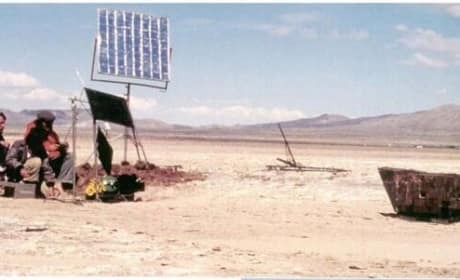 The shot is from the set of Star Wars: The Force Awakens. 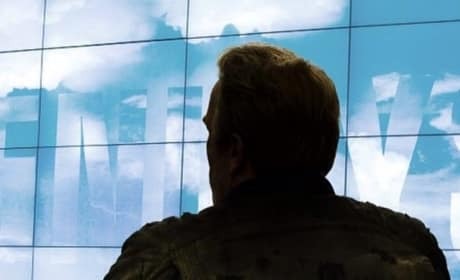 Arnold Schwarzenegger stars in Terminator: Genesys. He posted this photo because the film has wrapped. 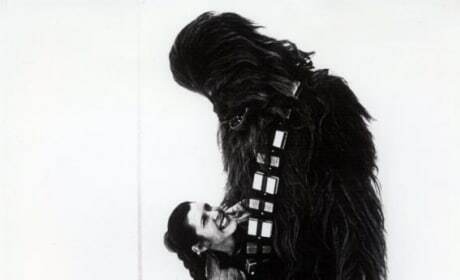 Star Wars characters Chewbacca and Leia have a light moment. 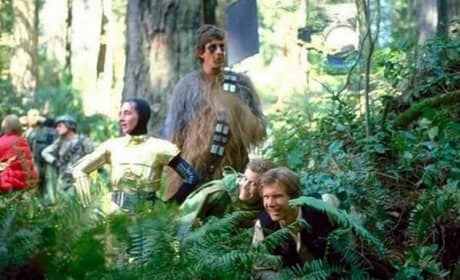 Peter Mayhew, who plays Chewy, shared the funny moment. Leia and Chewbacca have some fun. Carrie Fisher is Leia and Peter Mayhew is Chewbacca. Princess Leia strikes a pose. 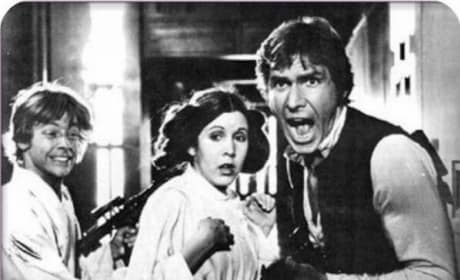 Carrie Fisher has some fun, in between shooting Star Wars. 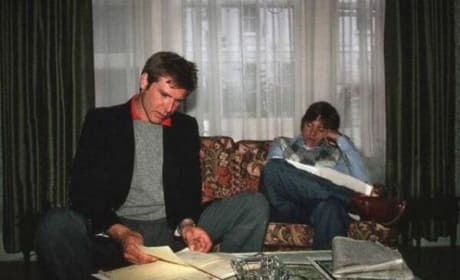 Harrison Ford rehearses for Star Wars. 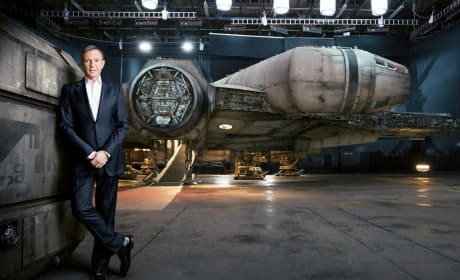 Ford plays Han Solo... and became an icon. 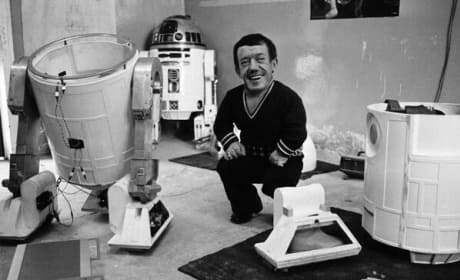 Kenny Baker takes a break. Baker was in the R2D2 machine. 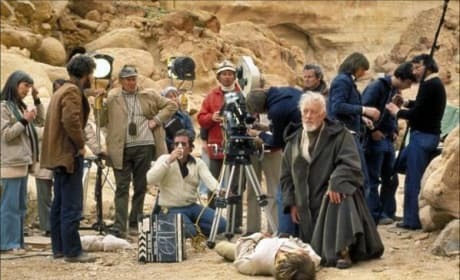 George Lucas filming Star Wars. You probably remember that transport being much, much bigger! 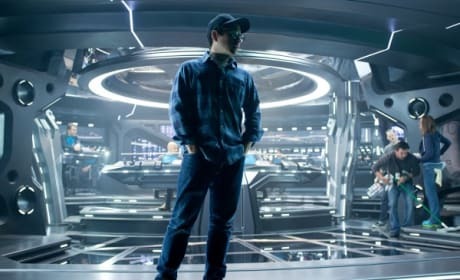 J.J. Abrams on the set of Star Trek: Into Darkness. Should he have revealed that Benedict Cumberbatch was Khan sooner?